Symphony will bring soon latest android Tab in Bangladesh with software version Android Nougat 7.0 Symphony Symtab 25. 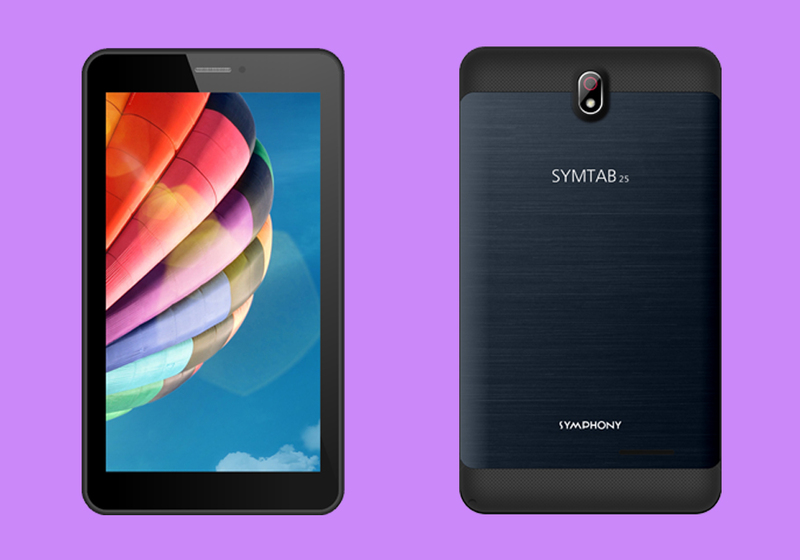 The Symphony Symtab 25 has relatively big display 7" IPS WSVGA 600*1024 pixels with 3500mAh Li-Polymer Battery Capacity. It has 5MP primary camera & 2MP secondary camera. It also has 2GB RAM & 16GB ROM. More details is below..
At Last we want to say that Symphony Symtab 25 latest updated Smartphone in Bangladesh. It can Make Our life More Amazing. Symphony Mobile started there journey in 2008. The company has rebuilt Chinese mobile phones. The symphonies, played a vital role in delivering low-cost multimedia phones. The company released the first Android operating mobile At the end of 2012. The first mobile was Symphony W20 of the Explorer series, It's got a lot of popularity. Symphony's Entrade Mobile has gained considerable popularity. Currently Symphony is selling 64-bit processor LTE-enabled mobile phones. The Android mobile phones Ram usually from 256 to 3 GB. The camera ranges from VGA to 16 megapixels. What is Blue Whale Game? What to do here?